Introducing our Whiskey Discourse series with the limited release of our 93-point, Gold Medal (SF International Spirits Competition) Waitsburg Bourbon Whiskey finished for an additional 9 months in 60-gallon French oak barrels from a 100-point Washington Cabernet Sauvignon producer. 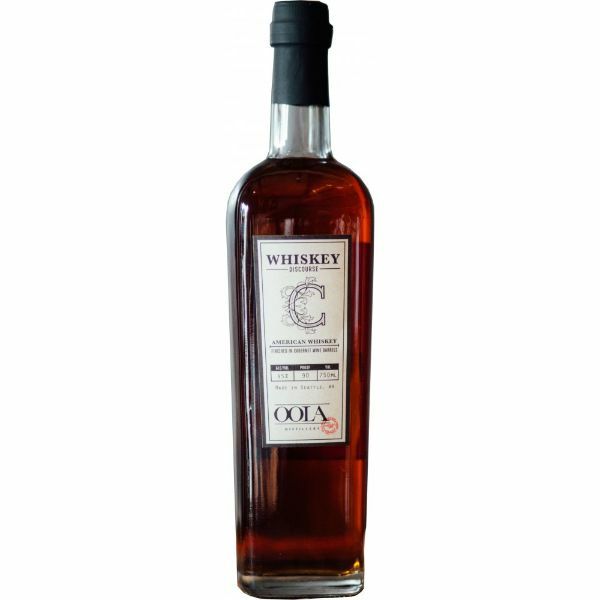 Whiskey Discourse C starts with OOLA’s signature Waitsburg Bourbon mash bill containing corn, rye, malted barley and wheat. This beautiful whiskey is aged for 4 years in new American oak before being transferred and finished in used French oak Cabernet Sauvignon barrels.